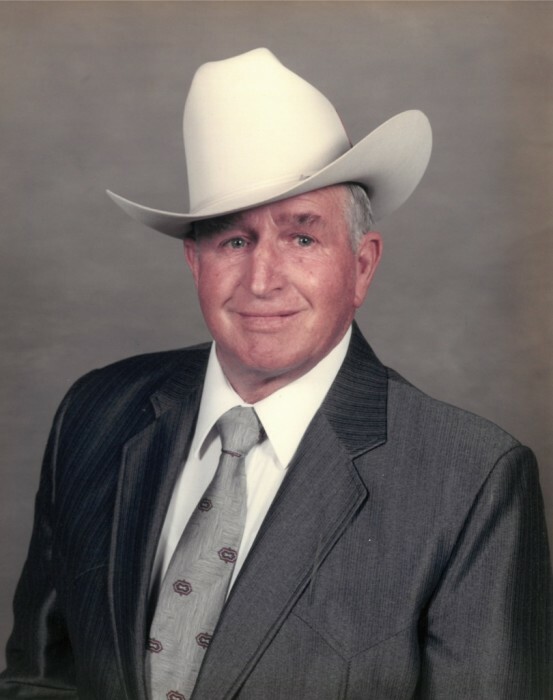 Lloyd Flint Garner, formerly of Leadore, Idaho, age 91, of Roosevelt, passed away on April 12, 2019 at his home. He was born in Sugar City, Idaho on June 29, 1927 to William Fredrick Garner and Viola Henrietta Flint. On December 14, 1951, he married Belva Elaine Nef in the Idaho Falls Temple of the Church of Jesus Christ of Latter Day Saints, celebrating 67 years together. He loved fishing in the river, his horse Blaze, and watching newborn calves run in the fields each spring. He served in the Army as an MP. Shortly after marrying the love of his life they moved to the ranch in Leadore, Idaho where they spend 37 years before retiring. He was the President of the Lemhi Cattleman’s Association. He was an active member of the Church of Jesus Christ of Latter Day Saints and served in various positions. Upon retiring from ranching they moved to Roosevelt, Utah in 1991 to be closer to family. He became an avid golfer for twenty years. He is survived by his wife, Belva, sons, Lee (Debbie), Jim (Anita) and daughter, SuzAnn Miller (Barry), ten grandchildren and twenty-three great grandchildren. He is preceded in death by his parents, two brothers and one sister. Funeral services will be held Wednesday, April 17, 2019 at 11:00 a.m. at the Roosevelt East Stake Center of the Church of Jesus Christ of Latter Day Saints located at 502 N 600 E, Roosevelt, Utah, with a viewing from 8:30 to 10:30 prior to services. Burial in the Roosevelt Memorial Park with military honors presented by the Roosevelt American Legion and the Utah National Guard.